Successfully Added Portable Digital Picture Frame - 1.5 Inch Screen to your Shopping Cart. 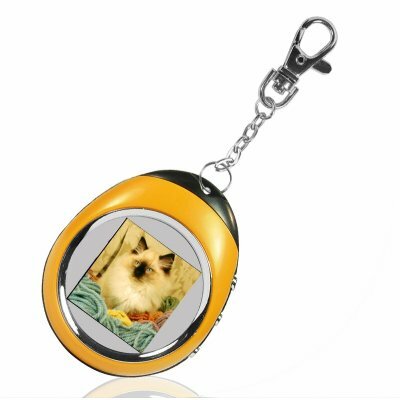 Small sized Keychain Digital Photo Frame, perfect for having your favorite pictures with you wherever you go, and coming with a 1.5 Inch CSTN LCD Screen for clear images. The CVEBD-152 has a high resolution screen to show off your pictures in style and includes a 3 button interface is easy and intuitive to use. This is a great low priced way to take your memories with you and to show your friends, and is available at a factory direct low wholesale price for ordering in bulk quantities to give as gifts or resell on your physical or internet storefront..